In Hell are there many pairs of TLYP around jagaing the prisoners? They are an army, not just two guys. A reminder: Guan Yin's birthday falls tomorrow. Is the fan of Dua YP his weapon? What is the black thing Di YP is carrying? Tua Ya's fan, waved over a living being, can draw out its soul. He also carries a diamond-shaped command plaque (a symbol of his authority) that he can transform into a flaming sword. Li Ya carries a signboard-like arrest plaque (an indicator that he has the license to arrest spiritual criminals) that is adorned with a tiger's visage. He can use this to summon a ferocious ghostly tiger (known as the '阴虎' or '冥虎' - a Hellish variant of the usual Tiger God) to track down his quarry and maul them to pieces if need be. It is important to understand what 'Hell' is in the Chinese context. It is a place where EVERYONE passes through, good or bad, with saintly or exceptionally good people staying just long enough to be processed before leaving for balmier climes. To add on. In the first judge's office. There are 2 bridges, one made of gold, the other made of silver. The gold bridge leads to heaven. The silver I can't remember, perhaps to human realm? As the rich, healthy, powerful and happy of course. The rest of the people will have to through 1 to 9 (ends in 18th level of hell which is eternal) OR 1 to 10 (reincarnate as human or animal). PM me if I didn't reply in the forums. . .
prease "like" my posts, i ish lub "likes" dip dip! not sure. i anyhow google for the pic. 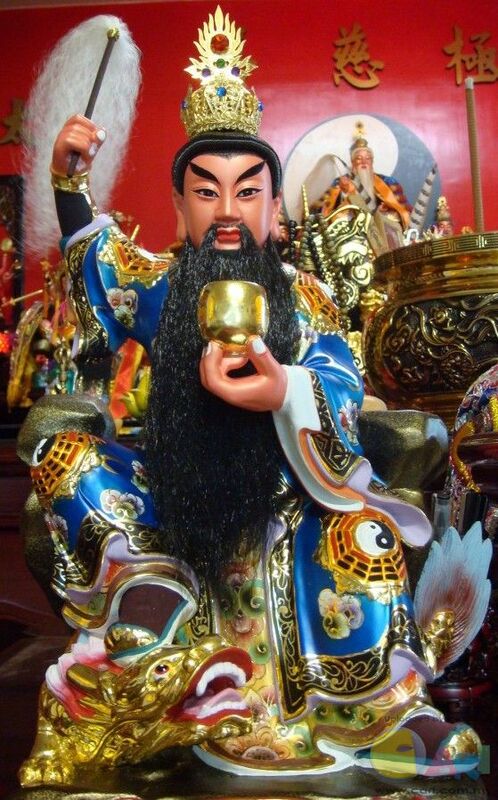 maybe deity from Taoist sect. not sure whether from 六壬. Last edited by magnus; 06-04-2015 at 09:32 PM..
What you are seeing is the 'zombie walk' of dead creatures, haha. Tua Li Ya Pek are not old or infirm. They were elite constables, well versed in hand-to-hand combat, and in the prime of their lives when they died. Even in death, they remain formidable fighters and are more than capable of handling themselves in a brawl. I mean, come on - they handle rough customers on a near daily basis. anybody know which is the temple or the exact address...? Nacht, who is 六壬仙師? Is he commonly channelled/worship here? moi think lok yam ish taoism liao? Who still prefer the traditional way of lighting up incense sticks? 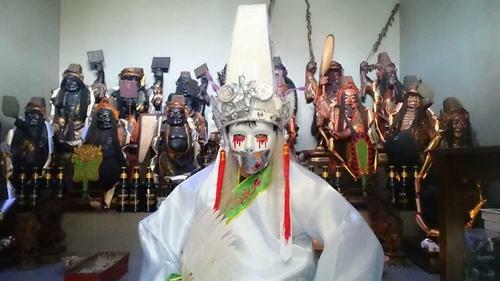 Yu was said to have incorporated a trance-like ritual, complete with a war-dance whose steps correspond to the Big Dipper constellation, in order to quell the waters of the Great Flood that swept the Chinese heartland - this war-dance is very similar to what you see sintua mediums perform these days. Is that the zig zag walk that tang ki do? Is there a difference from the "zombie walk" of TLYP?